Dobrofest is a large festival of quality live music, wich has been held near Yaroslavl since 2010. Every year the event is attended by up to 18,000 visitors from 40 regions of Russia as well as Ukraine, Belarus and far abroad. The atmosphere is open to everyone - there is no division into fan zone and VIP sector. Two stages, up to 90 musical bands, and various zones of non-musical activities: sports and playgrounds, gift shops and thematic stands. An entire city arises on a huge area with its infrastructure: a food service area, shower cabins, a storage room, phone charging stations, a medical assistant's point, bio toilets and even a post office and a private Registrar office, as well as many other things that are necessary for fun and comfortable rest during Four Days and Three Nights. 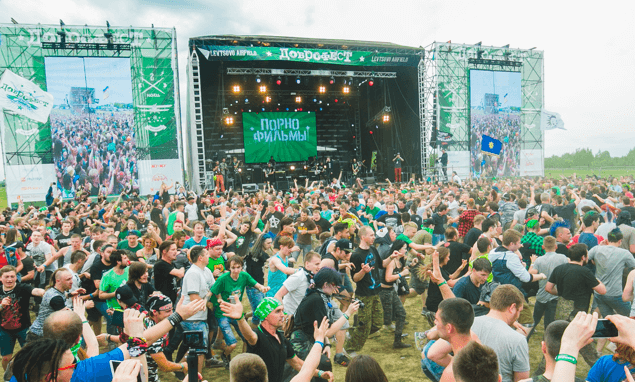 In 2019 the festival will be held on July 11, 12, 13 and 14 at "Levtsovo" airfield, 17 km from Yaroslavl.